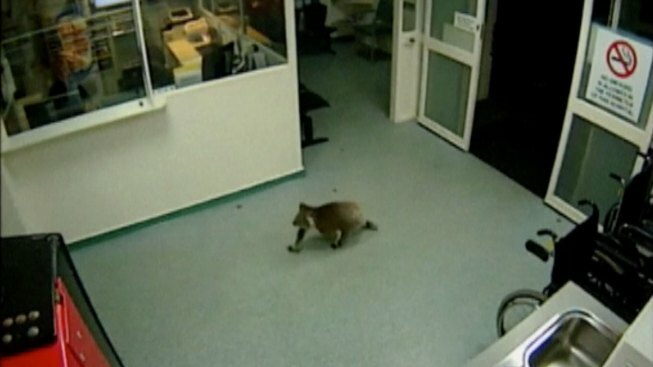 A koala’s late-night stroll inside an Australian hospital that surprised the emergency department staff was caught on camera. The koala, nicknamed “Blinky Bill,” after the bear in a popular Australian children’s book series, was caught on Hamilton Base Hospital's security cameras in late April 2015. Blinky Bill was seen getting off the elevator, going through motion-sensor doors, and then strolling right out again as easily has it came, disappearing into the night.